Late night art: You are smart, You are kind, You are important – Go ask Alisa – DIY capsule wardrobe one stitch at a time! Yesterday, late, at around 1 am, I finished what you see down below. 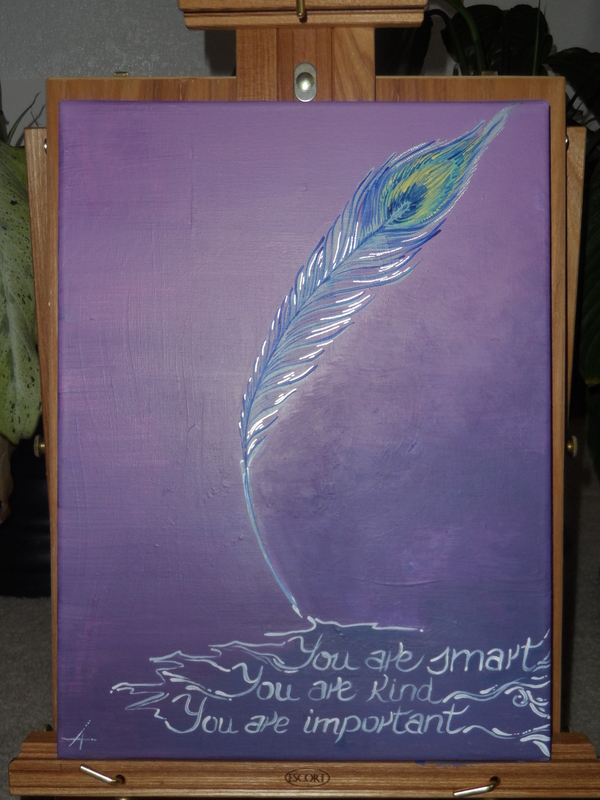 Another work in purple tones, gently attributing writing (NaNoWriMo) influence. The particular phrase got me after I watched “The Help”, one of the best movies I have seen. My idea, was to incorporate this quote into my artistic expression. Hope you all enjoy, please leave some comments – will be happy to see your opinions! Cheers.